Los Angeles Clippers Move to L.A.
An NBA team may have just pulled off the subtlest name change we’ve ever seen. The Los Angeles Clippers not only changed their name, but they did it a year ago. No one has seemed to notice. Yes, they are still known as the Clippers. The L.A. Clippers. As in, that’s their location name. Not just an abbreviation. The proof is everywhere. The Clippers refer to themselves as the L.A. (or, sometimes LA) Clippers on their own website, and on their various social media accounts, including Twitter, Facebook and Instagram. NBA.com refers to them as the L.A. Clippers in stories, transactions listings and site menus, even when mentioning the Los Angeles Lakers (who still go by the full city name). And now, ESPN.com has all references to the city name as LA, both on the team’s page and in standings and schedules. One of my key pieces of evidence is the team’s media guide (PDF), which says copyright L.A. Clippers. For comparison, the Knicks’ media guide (also PDF) is copyrighted by their full name, the New York Knickerbockers. As you can see, that’s the Clippers’ 2015-16 media guide, which is from one whole year ago. Save the NBA.com and ESPN references, the Clippers refered to themselves as L.A. last year, too. Here’s the Clips’ rough timeline: Steve Ballmer bought the team during the spring of 2014, and the Clippers rolled out new uniforms and logos last summer. They still went by the Los Angeles Clippers as late as the 2015 Playoffs and started to go by just L.A. after the redesign. As far as I can tell, the Clippers never formally announced a name change. In fact, they said were not changing their name. The mixed messages are odd. This is the era of storytelling design, where every aspect of a team’s presentation is supposed to represent something. The Clippers could’ve easily created a narrative around a name change, even such a simple tweak. It could’ve been thought of a cool, informal rebirth, distancing themselves from the reign of Donald Sterling and years and years of losing. Why hasn’t anyone noticed? The Clippers are known as the Los Angeles Clippers everywhere else: Yahoo, Fox Sports, Bleacher Report, SB Nation, different team blogs, Basketball Reference, and Wikipedia. It’s easy to not make the distinction. “L.A.” is such a common way to refer to Los Angeles that the name could hide in plain sight. All of this raises a bunch of questions. I put in a bunch of emails and phone calls to the Clippers and, unfortunately, I have yet to hear back. Whether it’s an official name change or not, it’s clear that the Clippers want a new identity. After so much talk about the new logos and uniforms, though, the coyness around “L.A.” is a mystery to me. Friday Flashback: Hi, folks — Paul here, making a rare August appearance. 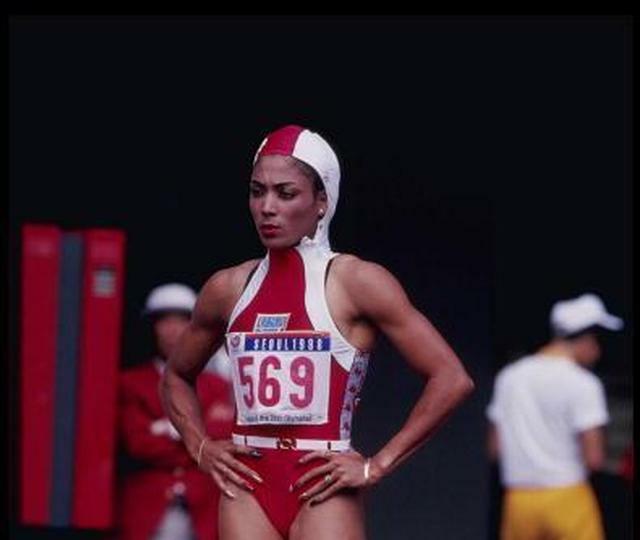 After an excellent vacation out west (more on that when I return to the site next month), I’m once again turning out ESPN content, including my latest Friday Flashback, which looks back at a dozen notable moments in the history of Olympic uniforms (including Cathy Freeman’s “swift suit” at the 2000 Games in Sydney, shown above). Check it out here. I’m also working on my annual college football season preview, which is always one of my biggest and most popular columns of the year. Look for that to be publish on or around Aug. 30. Meanwhile: We should have the new Uni Watch T-Shirt Club installment ready to go early next week — stay tuned. Okay, that’s it for me. Big thanks to Phil, Mike, Alex, and John, along with all the contributors, for keeping the site going while I recharge my batteries. Chamernik-knacks: It’s Mike again. Over the last year, I’ve written down a bunch of ideas for ledes, but for a variety of reasons, I haven’t been able to flesh them out into coherent stand-alone posts. But, they’re a little too wordy for the Ticker. Since I have the keys to the site today, I may as well clean out my notebook right now. • The Washington Wizards played in Chicago during their first two years in the NBA. 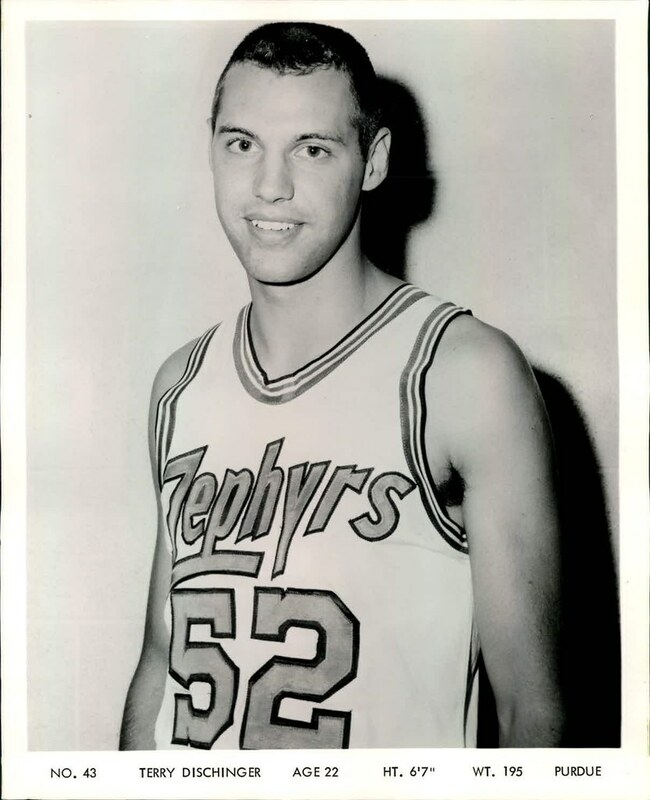 In 1961-62 they were known as the Packers, and in 1962-63, they were nicknamed the Zephyrs. I always wondered, how did they arrive at those names? I dug through old issues of the Chicago Tribune and learned that they changed their name to the Zephyrs because the franchise wanted a new start. After that first year, the Packers moved from the International Amphitheater to the Chicago Coliseum, and they hired Frank Lane, the wheeling and dealing baseball exec, as the general manager. Team owner Dave Trager held a name contest, and a fan named Richard L. Jakubauskas submitted Zephyrs, which is derived from both Latin and Greek, meaning the god of the west wind. Chicago is, yep, the Windy City. Here’s a photo of Lane and Jakubauskas. OK cool, but why were they named the Packers in the first place? One, the International Amphitheater was located in the Chicago stockyards. Two? According to a December 1962 column by Tribune writer David Condon, Trager originally wanted to name the team the Bruins, in the same vein as the Cubs and Bears. But, Bears owner George Halas owned a local hoops team that was named the Chicago Bruins from 1939 to 1942, so Trager chose Packers instead. I guess he didn’t want to encroach on Halas’s turf (yet he had no qualms about naming the team after the Bears’ biggest rival). • This will always boggle my mind. Before 1954, MLB players left their gloves on the field when they went to bat. While first and third basemen placed their gloves in foul ground, second basemen, shortstops and outfielders dropped their gloves in fair territory. Middle infielders left their gloves at the edge of the outfield grass, and outfielders left them near their positions. Was a glove too cumbersome to keep the glove on for the jog back to the dugout? Apparently. To be fair, gloves were much different back then. More importantly, couldn’t a discarded glove disrupt a game? Oh yes ”” many times! • How many Big Four teams have changed their name during a season? I know of just one. The California Seals of the NHL changed their name early in their inaugural 1967-68 season, switching to the Oakland Seals. Then, after Charles O. Finley bought the team, they changed their name to the California Golden Seals two games into the 1970-71 season. Also, how many Big Four teams changed their home stadium during a season, not counting relocations for disasters, or splits between two homes? I could only think of only one instance for that, too. The Mariners moved into Safeco Field in July of 1999. Are there any more examples? • When was this Cubs logo used? I can’t tell if it was ever used in any official capacity. It’s not on Chris Creamer’s sports logo database. The earliest I saw it was in a 1982 Cubs commercial; this site says it was used in the 1960s. • In May, a gorilla named Harambe was shot to death after a small child entered his sanctuary at the Cincinnati Zoo. Three months later, young twenty-somethings on the internet have taken it upon themselves to honor Harambe and keep his memory alive. Of course, this is all done in a tongue-in-cheek way. Harambe is now a popular meme. The tributes have now reached the sports world, as fans are customizing shirts and jerseys, and bringing signs to games. He got a mention on the leaderboard at the PGA Championship. A few players on the Stony Brook football team even wore Harambe shirts under their jerseys during a team function. Harambe would’ve wanted it this way. • Have you ever gotten a feeling of jamais vu, where a common word sounds completely unfamiliar when you really think about it? I had it recently. I noticed that I really liked the sound of the Baltimore Orioles. Orioles. It’s a strong name. • Lastly, Sports Illustrated writer Steve Rushin wrote a book a few years back called The 34-Ton Bat. It is absolutely loaded with tidbits and stories behind the history of baseball objects and equipment: bats, uniforms, baseballs, gloves, etc. I’d give it a full write-up, but… I didn’t like the book. The content was interesting and the book was very well researched. My issue was with Rushin, who I find to be a wonderful writer. His style, marked with wordplay, clever callbacks, and paragraphs that lead to punchlines, is great for magazine articles but way too much to handle for a 352-page book. It would be like listening to Henny Youngman do stand-up comedy for five straight hours. Timely reference, I know. Baseball News: The San Jose Giants will wear luau jerseys tonight (from OT Sports). … The Fort Wayne TinCaps will wear Friends jerseys this evening. … The Harrisburg Senators will wear pink jerseys on September 3 (from OT Sports). … The Mets and Giants lineups were flip-flopped on the scoreboard at AT&T Park yesterday (from Stephen Krupin). NFL News: The Bills’ Ralph Wilson Stadium will now be known as New Era Field, as the team announced a seven-year naming rights deal with the baseball hat manufacturer. In an ironic twist, the stadium was actually one of the first to explore corporate naming rights. Before it took the name of Wilson, the team’s founder, it was known as Rich Stadium. The Buffalo-based food products company Rich Products had a 25-year contract with the Bills, from 1973, when the stadium opened, through 1998. … The Lions will have blue endzones this year. … Adidas outfits the entire CFL. B.C. Lions cornerback Ronnie Yell has been fined twice for a total of $3,000 this year for wearing Nike cleats. Both times he tried blacking on the swooshes on his shoes (from Wade Heidt). College Football News: New uniforms for Tulsa. Here’s a better look at the all-white set (from Kelly Hines). … Cincinnati unveiled new red uniforms for football, soccer and volleyball. More photos of the football set here. … Fans will decide Baylor’s uniform combination for its opener. … A Northwestern writer thinks that the Wildcats’ array of uniform combinations over the last few years is good for attracting recruits. Olympics News: Michael Phelps, a long-time Under Armour endorser, is wearing Nike sweatpants on the cover of the latest issue of Sports Illustrated (from Brinke). … Canadian track and field athletes wear one uniform for multiple events at the Olympics. Soccer News: Even with kicked balls reaching speeds of nearly 100 mph, soccer players, particularly those on the Columbus Crew, do not wear protective cups. The players said that getting hit in the groin is rare, and it’s not worth the discomfort, especially when having to run several miles over the course of every game (from Jason Hillyer). 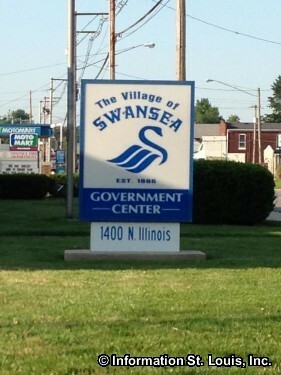 … Swansea, an Illinois suburb of St. Louis, borrowed its logo from the Welsh soccer club of the same name (from Ryan Madden). … Last month, New York City FC’s David Villa received a personalized Yankees home jersey. This is interesting for three reasons: The Yankees go NNOB, No. 7 is retired for Mickey Mantle, and Villa plays in a FNOB jersey (from Ferdinand Cesarano). Grab Bag: Glamorous, and comfortable, sneakers are now in fashion (from Tommy Turner). … Mozilla is open-sourcing a logo redesign. Seven finalists were announced yesterday, and the winning concept will be named in late September. 105 comments to Los Angeles Clippers Move to L.A. The Pirates opened Three Rivers July 19, 1970, which was a uni-notable occasion. Come to think of it, Forbes Field opened in June of 1909, so that would have been another midseason move for the Pirates. Wow, two people (maybe more as I’m typing this!) beat me to the punch on Three Rivers Stadium, and there are only a handful of comments so far! Yup. Typo on my part. Three Rivers, Riverfront and Busch (II) stadiums all opened after the MLB seasons had begun. Whatever the St. Louis dome was called also opened after the NFLVseason had already started too. That was the Trans World Dome, later the generic “Dome at America’s Center” when TWA went belly up, with America’s Center being the name of the adjacent convention center, and later the Edward Jones Dome. The cookie cutter stadiums…you couldn’t tell them apart. They were all essentially the same stadium. Have you been to a cookie cutter? There were differences. Most of today’s fauxback parks are the same. One has the world’s largest scoreboard in right field, another has the world’s largest scoreboard in right field. Some have bricks behind the plate, some have stone. Other than that, same. The Maple Leafs & Raptors opened the Air Canada Centre in January 1999. This was halfway through the NHL season and early in the lockout shortend NBA season. Blue Jays opened Skydome in early June 1989. They spent the first third of the season at Exhibition Stadium. SkyDome is the one I was going to mention. Rangers and Knicks moved from Madisn Square Garden III to Madison Square Garden IV in February 1968. The Detroit Red Wings made the move from Olympia Stadium to Joe Louis Arena in December 1979, playing their last home game at the Old Red Barn on the 15th (a 4-4 tie against Quebec) and their first at the Joe on the 27th (a 3-2 loss to St. Louis). The Joe itself actually opened on December 12, hosting a basketball game between the Michigan Wolverines and the University of Detroit Titans (Michigan won, 85-72). The Ottawa Senators opened the 1996 season at the Ottawa Civic Centre before moving into the Palladium in January of 1996. Interestingly the Palladium changed it’s name in February of 1996 when Corel bought the naming rights. Michael Phelps in Nike sweats…..
Clearly UA isn’t providing him with enough gear. Otherwise why/how could he reach for anything other than UA products? They need UA Nazis like those staffed by Gatorade. I had thought it was odd that the Clippers Christmas jersey says “LA Clippers” while the Lakers jersey says “Los Angeles.” Makes a little more sense now. Several years ago, the Galaxy of MLS made the same change as the Clippers, changing the moniker from “Los Angeles Galaxy” to “LA Galaxy” (always without the periods). Editorial comment: I don’t like this. Agreed. It’s lame with a capital LA. Not too crazy about it either. Next thing you know the Knickerbockers will start referring to themselves as the NY Knicks. Usage plays a big part. I think “NYC” gets more of a workout than “NY”, but neither is such a prevalent moniker for the Apple as is “LA” for that city. I noticed that the “LA Clippers” is the listing on the largest online merch dealer. Of course, the same site also leaves out the Nuggets in their dropdown menu, so take that for what it’s worth. The Indians actually had two home ballparks from 1934-1946, playing weekends at the cavernous Cleveland Stadium, and midweek day games at the much smaller League Park. Mike explicitly included “splits between two homes” as items that don’t count for the tally of teams moving mid-season. LOVE the Henny Youngman shout-out, Mike! That’s some top-shelf reference work. I really wish Cincinnati would stop using that cartoony mascot logo. The C-paw is such a great logo, it’s a shame they haven’t designed a better looking secondary logo. Say goodbye to The Ralph. Say hello to The Nerf! Seattle fans are probably thinking, why stop at such a subtle change? About the Cubs’ logo, I remember receiving a decal from the Cubs’ front office with that logo which I put on my back door window back in the middle to late 1960s. It was never part of the uniform as I recall, but was used primarily in ads. If I’m not mistaken, you will see this logo pop up on those beautiful old scorecards with those unique covers. See, Can’t Tell the Players Without a Scorecard By Mike Chamernik, on March 28th, 2014. It’s very interesting that the day after I discover the “Happy Cub” logo, someone else is interested in it as well. I found a new production New Era 5950 with that logo on the front at a thrift store. Thought it was a knockoff until I found that the logo does actually exist. Of course that doesn’t mean that the hat itself isn’t a knockoff, but at least the logo has some basis in reality. Even if I don’t know exactly what that basis is. They actually played two and a preseason game in Milwaukee until about 1994. My bad, most years they played THREE games in Milwaukee and 1994 was the final year of that arrangement. And again, it doesn’t count toward what Mike was asking. Good stadium examples, everyone! You guys are clutch. I know I panned it, but The 34-Ton Bat has a lot of interesting stories and tidbits, plenty of stuff I didn’t know before. Maybe other Uni Watch readers would enjoy it. I’ll send my copy of the book, free of charge, to the first person who responds to this comment. I’d love to dive into it. Thanks, Mike. -C.
Great! OK I’ll email you (I can access email address since I’m a site admin). The nested “CLA” monogram the Clippers use reminds me of a doodle I used to make where a similar, boxlike “U” surrounds the other three letters. Any thoughts of sending it to UCLA for wealth and fortune were quashed by thinking, “was it really that hard?” Anyway, the Bruins seem perfectly happy with their script insignia. The Reds and Marlins played a color-vs-color game last night. The Reds wore their red uniforms (at the Marlins wore black. I mean: The Reds wore their red uniforms (at a night game), and the Marlins wore black. Re: Name change during a season in Big Four. The 1926-27 NHL season started with the Toronto St. Patricks. Conn Smythe bought the team in February of 1927 and renamed them the Maple Leafs during the season. Interesting story about the Canadian Olympic uniforms. I remember reading a similar story about the US team but with a Nike twist. If you were not sponsored by Nike, you were given less equipment than if you were. 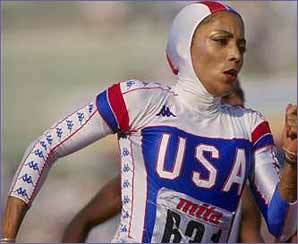 With the very strict uniform requirements even off the track, athletes found it difficult. It’s really sad given that the Nike USTAF contract is for a zillion dollars. Yes. I’m sure the communications director or the reporters mention it all the time, but that’s the first time I’d seen it in an article. As stupid as it is that LA Clippers’ LA is not Los Angeles, if the LA Angels of Anaheim were to follow suit, I’d actually be ok with that! Also, remember when the Los Angeles Dodgers tweaked their “everywhere but the jersey” word mark and hid it in plain sight for almost a whole year? So this wouldn’t even be the first delayed reaction to a change out of LA! Interesting steps they’re taking. Doesn’t seem to be any thought of just scrapping them altogether. And I know I may be in the minority here, but I like the matte helmets. My take is that you are in the MAJORITY, based on comments I have read here. I don’t like the matte and think I am in the minority. I think the 3D logos are a cool experiment and worth the effort. They should probably find the best material (silicone, rubber, plastic) that can be glued on to the helmet with best durability. Cutting adhesives with an exacto knife is silly. The Phelps photo is a result of IOC rule 40. As an Olympic athlete he and his sponsors can not mention each other in any context in regard to the Olympics. Another home stadium change during a season…Dallas Cowboys moved from the Cotton Bowl to Texas Stadium in late October of 1971. Surprised no one mentioned this by now. 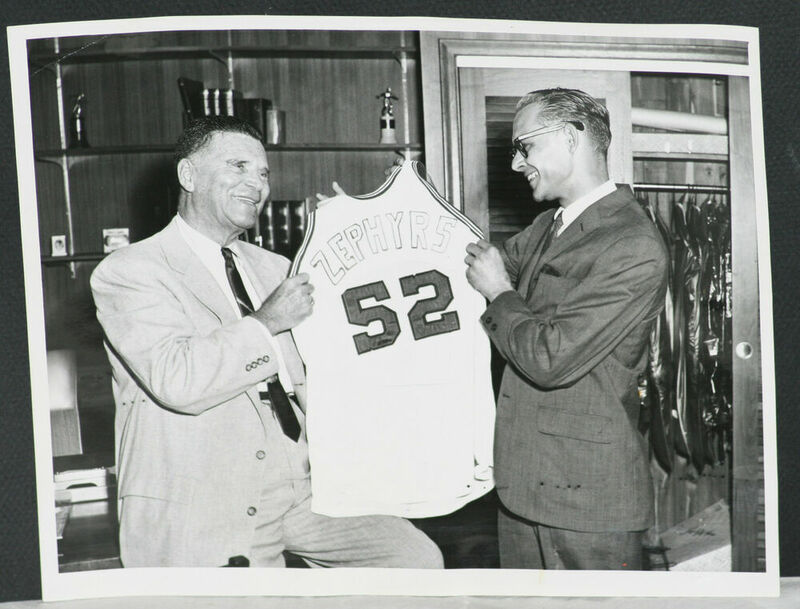 Name change during season: September 1965, Los Angeles Angels became California Angels. I still call them the California Angels. Too many names has the same effect as too many uniforms; folks will end up using the one they like, not the current one. Fans hate meddling from the higher-ups. Hey now…I’m not 50 yet. It’s probably like listening to Steven Wright. He’s great for a 5-minute set on tv. After an hour, it’s just one-liners that go nowhere. Back in the early 1990s, I saw Steven Wright do a full routine. Over 60 minutes. First 10 minutes, even the jokes I’d heard before were hysterical. Then there was a bit of a lull, like you describe, where it sort of felt like just a string of one-liners. But the last half of the show became one of the best bits of stand-up I’ve ever seen, because the absurdity of Wright’s material became cumulative. Wright used the one-liner format to create a sort of meta-comedy. I also saw Steven Wright perform – at the old Comedy Workshop in Austin in the mid-80’s. It was a great performance in a medium sized club. One thing I remember is Wright trying to keep from breaking into laughter – even resisting to smile – in order to maintain the deadpan tone. The audience at the Workshop sat pretty close to the stage, so his wanting to laugh just added to the enjoyment. He was just breaking nationally at the time, so it seemed we were also seeing his amazement that he was actually a hit outside the northeast or LA. Re: Teams playing in multiple stadia during the same season. The first MLB game I attended was when I was 9. We lived about 2 1/2 hours away from Cincinnati, so our family purchased tickets well in advance. The Reds had the MLB ASG that season and Riverfront was supposed to be ready for the home opener, but wasn’t ready until June 30. I recall bugging my dad about it. “Will it be ready, will it be ready?” The whole sense of it being new was overwhelming and I was elated that it was finished in time for the July 4 day game v Astros we attended (which would make it the sixth game played at Riverfront, after a 3-game series v. Braves and a DH v. Astros on July 3). Funny thing is, looking back, I wish it hadn’t been ready and I could have attended a game at Crosley. I missed seeing the Reds play their final game there by mere days. Similar to leaving gloves on the field — I was watching a 1972 Mets-Dodgers game on Youtube. Willie Mays struck out to end the inning, and instead of going to the dugout, he reached into his back pocket where he had his fielder’s glove, and jogged to the outfield! Also, the Seals were known at one point briefly as the “Bay Area Seals”… can’t recall if it was ever official but I remember seeing a sticker possibly printed by the club with that moniker. Similar to leaving gloves on the field – I was watching a 1972 Mets-Dodgers game on Youtube. Willie Mays struck out to end the inning, and instead of going to the dugout, he reached into his back pocket where he had his fielder’s glove, and jogged to the outfield! but his glove? I need proof of that. Who is he, Batman? 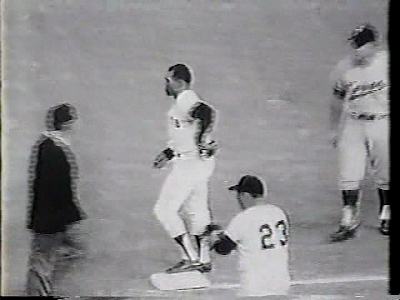 At the 19 minute mark, Mays strikes out…takes his cap out of his pocket and starts walking to the outfield, where a teammate will bring him his glove from the dugout…I could see where you could make that error, but no way a glove in 1972 could fit in a pocket. Regarding the “Bay Area Seals”, pennants were manufactured and sold with the then-new Finley era logo and colors with the moniker: Bay Area Seals. They are rather rare and command a high price if you find one for sale. Name change: during the war years of 1944 and 1945, the Philadelphia Phillies were known as the Bluejays!!! But was that change implemented mid-season? 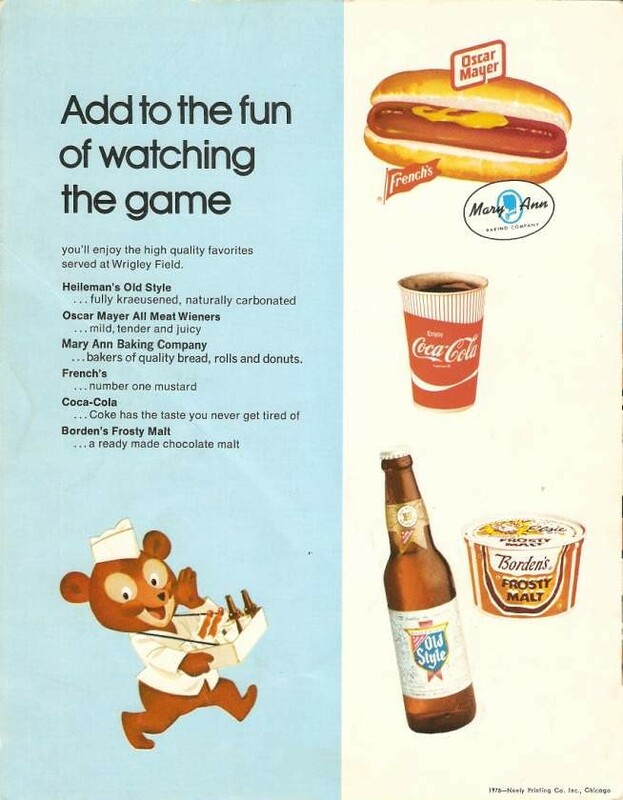 The Cubs logo was used on promotional materials, ads, scorecards, etc. but never part of the teams official identity. The Cubs morphed the cuddly cubs into a fericious Cub image to tie into the Dallas Green hiring. His passion and fire were part of the Cubs attempt to eliminate the Lovable Losers image from past seasons. More mid-season moves: the White Sox opened Comiskey Park on July 1st, 1910. And I got beaten up top with the Cubbie Bear logo/scorecard suggestion. In January of 1986, the UNC Tar Heels basketball team moved from Carmichael Auditorium to the new Dean E. Smith center mid-season, the opening game being a win against Duke. IIRC, the Dean Dome was supposed to open at the beginning of the 85-86 season but was not quite ready on time. BTW, how can anybody look at the “LA” Clippers’ jersey and logo and not think of the old EA Sports’ “Madden” video game covers? Right, it was NBA live I was thinking of. Have you ever gotten a feeling of jamais vu, where a common word sounds completely unfamiliar when you really think about it? It’s happened to me, but not over words. Songs and skies seem to have the best aptitude for seeming alien. In the New Orleans Jazz 1974/75 Inaugural Season, the intended plan was to begin playing the season in the older Municipal Auditorium, and then move into the newly-completed Superdome in the later half of the season. Construction delays prevented playing any games that season in the Superdome, and the Jazz instead played many of their games at the Loyola University Fieldhouse in that first season. The following year the Superdome opened in time for the entire 1975/76 Season, and the Jazz played every game there until their relocation to Salt Lake City …. The Loyola Fieldhouse was a very unique venue, having a raised basketball court and with heavy cargo netting surrounding the edges of the floor for those players that would find themselves going off of the edge and into the seats. No photos here, but the photos are out there and it was a very weird, one-of-a-kind set up …. They should call themselves the LA Clippers of Los Angeles. Wasn’t Zephyr also the name of a train that ran out of Chicago? The Washington Bullets/Wizards opened new arenas on the same date, December 3rd, twice. And as previously mentioned, The Capitals in the same arena in 1997. The Reds are wearing GI Joke/Camopander unis tonight. The Phillies moved from Baker Bowl to Shibe Park in the middle of the 1938 season. The Pittsburgh Penguins changed their uniform colors from double blue to black and yellow partway through the 1979-80 season. How was that allowed??? I’ve been reading Steve Rushin’s book at a leisurely pace for the past couple of months. Some chapters are more interesting than others but, all in all, I agree with Mike that Steve’s brilliance shines through much more clearly in small bursts like his frequent back page columns in SI. Always thought the Clippers should have moved to Orange County. Instead of still calling themselves LA or Los Angeles, like the Angels, I think it would make sense to call themselves the “Southern California Clippers”. I thought the Angels should have also made this name change. Embrace the region, like the New England Patriots or Tampa Bay Buccaneers. In 1973, New York Football Giants played their first 2 regular season season games at Yankee Stadium, which then closed for renovations. They played their final 5 – and all of 1974 – at Yale Bowl in New Haven, CT before sharing Shea in 1975 with the Jets and Giants Stadium in 1976. Not sure if the temporary home thing counts. The Miami Heat moved into American Airlines Arena in the middle of the 1999/2000 season.